With headquarters in London, BF Games, previously known as BeeFee, emerged onto the online gaming scene around 2013. Involved with both online casino sites and traditional land-based casinos, BF Games are focused on designing and providing comprehensive systems and packages necessary to operate a fully equipped casino. Their main speciality is designing online games entirely from scratch, conversion of land-based games into online games, as well as the development of high-powered gaming servers. Moreover, BF Games provides fully equipped player management systems for casinos, complete with financial transaction monitoring, payment services, reporting protocols and protection. BF Games is one of the smaller software producers in the online gambling market, however, they are gaining momentum and starting to make an impact. This is due to the fact that their games come with a high quality, which combines excellent graphics with innovative bonus features that can get players some particularly large prizes. BF Gaming’s games portfolio isn’t a large one, but they’re constantly working on creating new and exciting titles, so you should expect their collection of online games to increase steadily over the next few years. When it comes to online information about BF Games, you should know that there isn’t many which further proves the fact that they’re not that big name in the online gambling market. 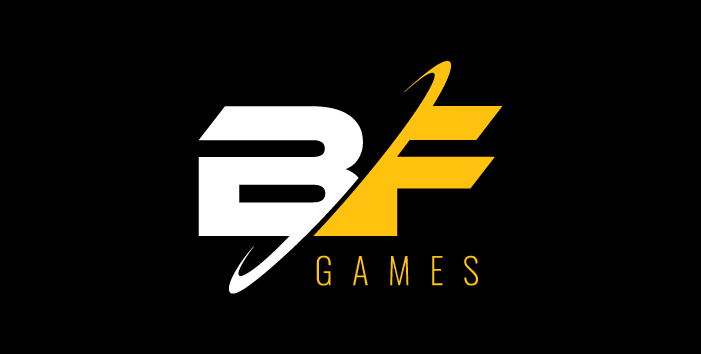 As we already mentioned in the opening of this text, you might have come across them in the past under their previous name – BeeFee – but BF Games is now the official name of the company. Aside from online casino games, being a software developer, BF Games have provided their services to clients helping them establish their online casino sites, integrating gaming portals and platform services. The features on their online casino software include payment services ranging between cash to e-money transfers, promotions, player management and state of the art background reporting systems. Furthermore, clients can request bespoke games to be designed for them from scratch or transform an existing land-based game and make it function online as an online video slot game. Additionally, BF Games monitor the performance of both live-streaming casinos and sportsbook services in order to ensure smooth overall performance. At the moment, BF Games has a total of 30 different online slots on offer. All slots come in a variety of different themes, ranging from traditional online slots themes, which can be seen in Ocean Reef, through newer themes, present in Steam Punk Big City. Probably the best BF Games release is Mad Men & Nuclear War – a slot which is themed on the Cold War. Another unique slot coming from BF Games is Pharaohs & Aliens which is probably the first online slot that combines these two themes. Other eye-catching BF Games releases include Rome Warrior and Star Fortune. If you’re more into more basic games, you’ll find a few slots with a more classic theme. These include Stunning Hot 20 Deluxe and Vintage Win which have classic slot symbols and gameplay, although they’re very exciting to play. Today, if you want to compete in the online gaming market, it is a must to have online slots that are compatible with mobile devices. BF Games have ensured that all their releases are Android and iOS compatible, so you can enjoy them on your favourite mobile device. Although all their games look pretty impressive on mobile devices, there is one that simply stands out from the rest. Royal Crown is a slot with a simple gameplay, but the prizes it offers are great and the way it has been optimised for mobile devices ensures that you can enjoy the level of excitement wherever you are. Another excellent title that has been optimized for mobile play is Golden Lamp, which retains the excellent graphics found in the desktop version. With an Arabian theme, the slot comes with a genie character on its reels. All in all, whichever BF Games release you decide to play on your mobile device, will provide you with great fun! Many players will be disappointed by the fact that BF Games does not offer any progressive jackpots. However, the in-game jackpots found in the online slots from BF Games are still pretty high though and can amount up to tens of thousands. Usually, only the biggest software providers can create progressive games, so it’s not difficult to understand why there isn’t any progressive jackpot coming from the studios of BF Games. However, if they manage to keep growing at a good rate, they’ll have no problems creating some progressive games in near future. As we have already mentioned in this review, BF Games only produce online slots. This means that you cannot find live casino games in their portfolio of games. This doesn’t mean that they will not produce them in near future. As their reputation within the online gaming market grows, and the demand for more BF Games releases intensifies, we’re more than sure that they will provide such releases to online casinos and players. As you can see for yourself from the text above, BF Games aren’t among the biggest software providers in the market. In fact, their offer is only a fraction of the number of games offered by larger companies. However, it is more than evident that BF Games focus on quality rather than quantity, which is supported by the fact that none of their games offers bad graphics or uninteresting gameplay. So, whenever you find an online casino featuring titles from BF Games, be sure to check them out and we assure you that you’ll have a fantastic time! Now that you’ve read all there is to know about BF Games and their excellent releases, claim your welcome bonus from the casino and slots sites featured at Slotswise and see if any of them has BF Games releases on offer!